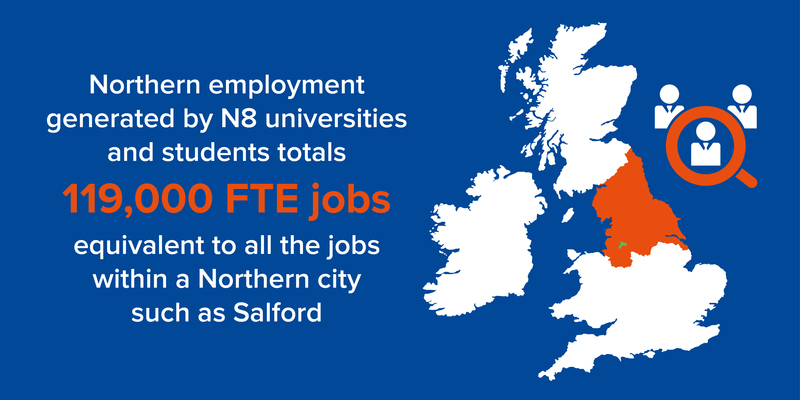 FTE jobs in the North generated by N8 universities and students – equivalent to all the jobs within a Northern city such as Salford. For every 100 direct FTE jobs created in the N8 universities another 113 are generated in other industries in the North. Launched the N8 Industry Innovation Forum to maximise links between private sector R&D, industrial and consumer needs and the research base in the UK. 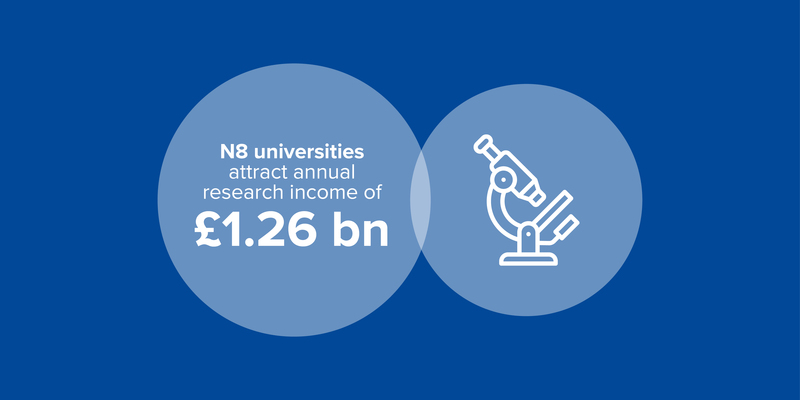 To date this has generated over 30 new collaborations between university and industry partners and >£9m of new research grants. Established the £3.25m N8 High Performance Computing centre, making it easier for N8 partners to combine research strengths, build more realistic computational models and undertake more complex analyses. 90 companies have worked with N8 academics using N8 HPC for collaborative academic research, and it has been used in 377 research papers. 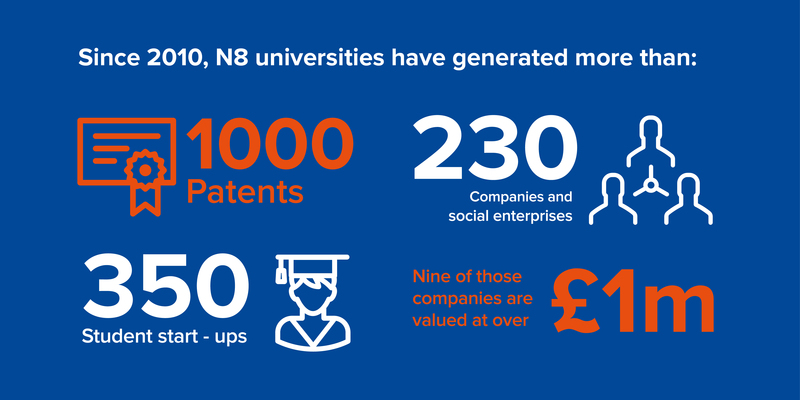 Launched n8equipment.org.uk, a fully searchable online database which is used by >500 individuals every month, academics and industry researchers alike, to locate and request access to research equipment across the N8 university partnership. Secured £8m investment from HEFCE to support the £16m N8 AgriFood Resilience Programme, and >£3m investment from HEFCE into the >£7m Policing Research Programme.